The world class New Zealand team in action provided a rare feast of netball for the very large crowd at the Victoria Domain on August 7. Despite the rain which set in just after the start of the New Zealand versus Poverty Bay game the pace was on all the way. 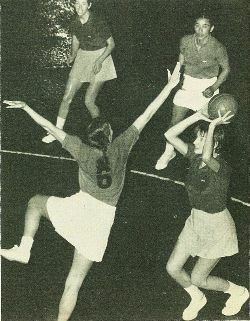 Carolyn Potter (back) scores for Poverty Bay. Other players are, from left, Maria Akuhata (P.B. 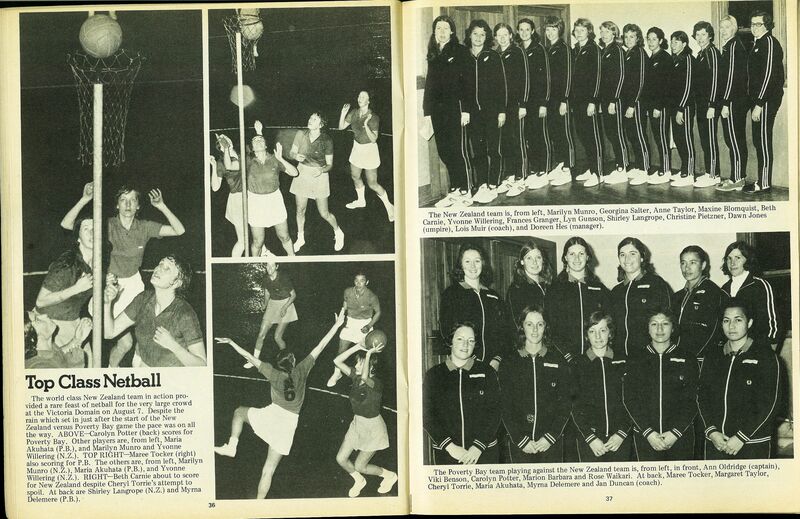 ), and Marilyn Munro and Yvonne Willering (N.Z.). 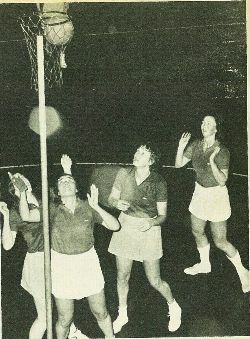 Maree Tocker (right) also scoring for P.B. 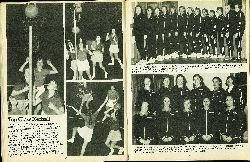 The others are, from left, Marilyn Munro (N.Z. ), Maria Akuhata (P.B. ), and Yvonne Willering (N.Z.). Beth Carnie about to score for New Zealand despite Cheryl Torrie's attempt to spoil. 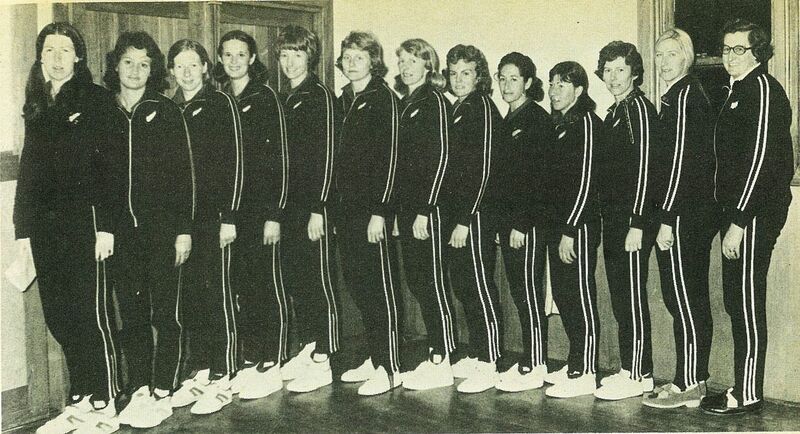 At back are Shirley Langrope (N.Z.) and Myrna Delemere (P.B.). 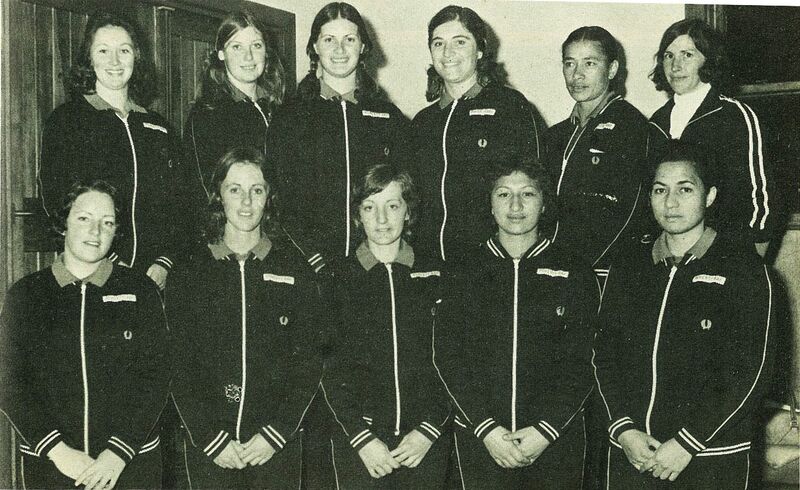 The New Zealand team is, from left, Marilyn Munro, Georgina Salter, Anne Taylor, Maxine Blomquist, Beth Carnie, Yvonne Willering, Frances Granger, Lyn Gunson, Shirley Langrope, Christine Pietzner, Dawn Jones (umpire), Lois Muir (coach), and Doreen Hes (manager). 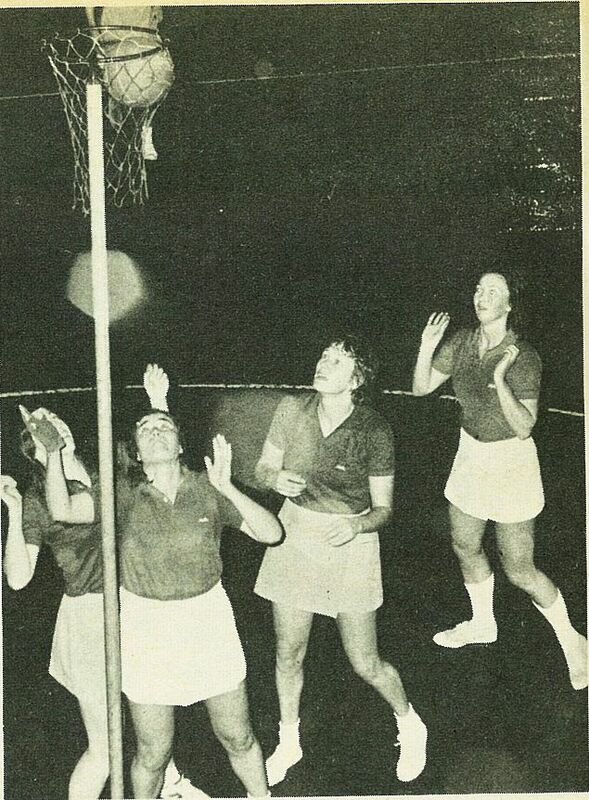 The Poverty Bay team playing against the New Zealand team is, from left, in front, Ann Oldridge (captain), Viki Benson, Carolyn Potter, Marion Barbara and Rose Waikari. At back, Maree Tocker, Margaret Taylor, Cheryl Torrie, Maria Akuhata, Myrna Delemere and Jan Duncan (coach).